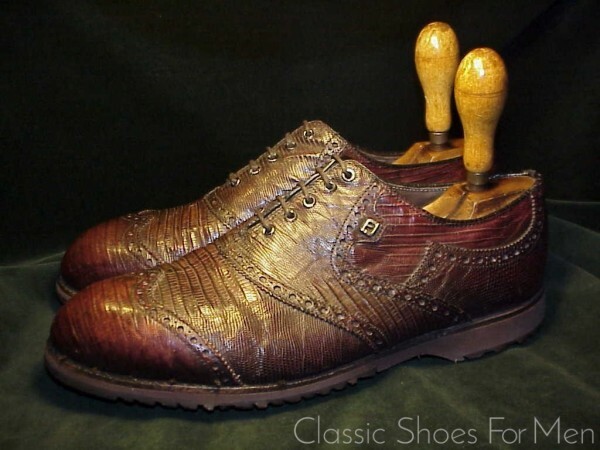 42E......9E US.......8F, für den mittel-breit bis etwas breiteren Fuss. 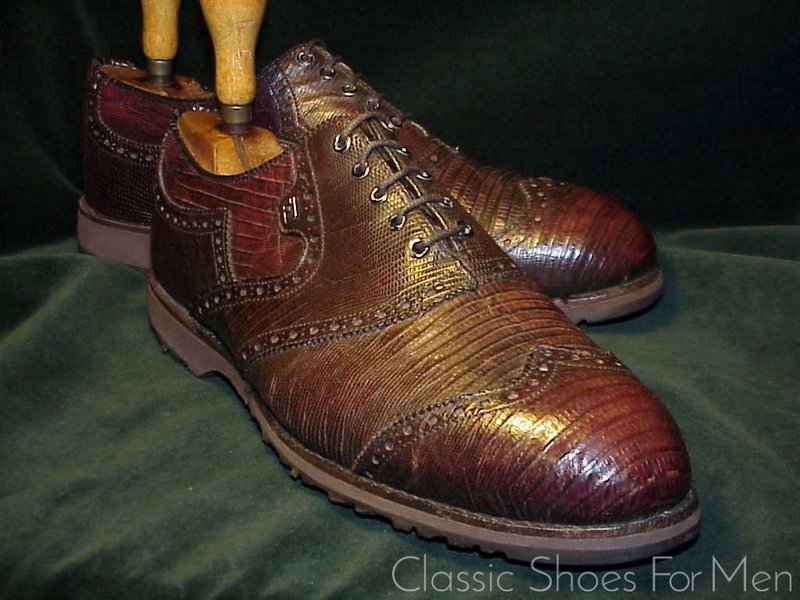 Superb, sehr leicht getragen, nahezu neu...NEUWERTIG!! FootJoy Fabric Gummi All-Weather Sohle. 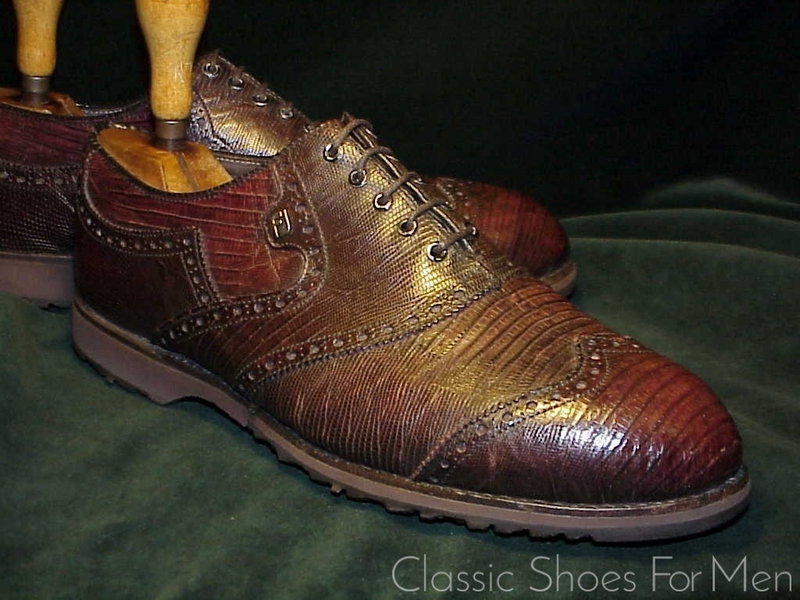 This shoe has been fitted by the factory with a One-of-a Kind, Special Order ALL WEATHER sole and, like all of FootJoy’s rubber soled shoes, among the most comfortable shoes money can buy. 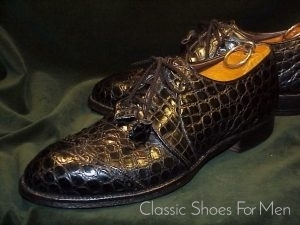 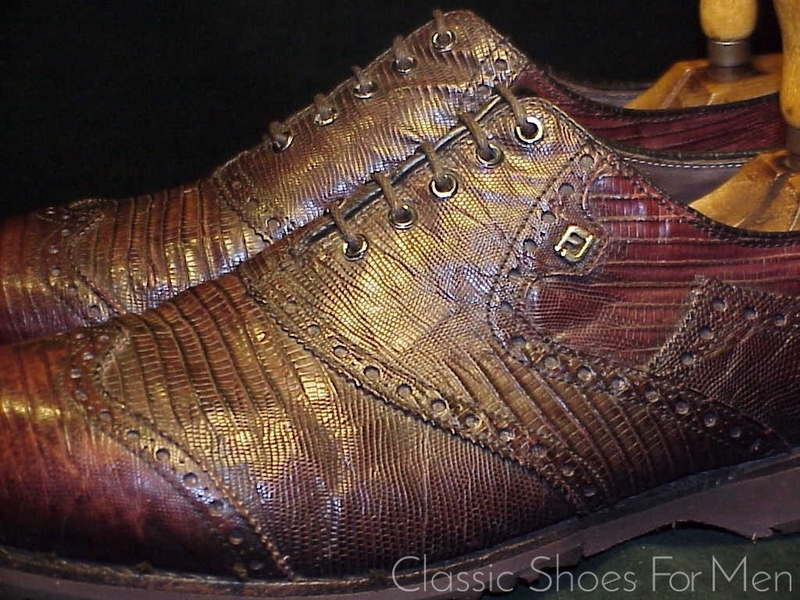 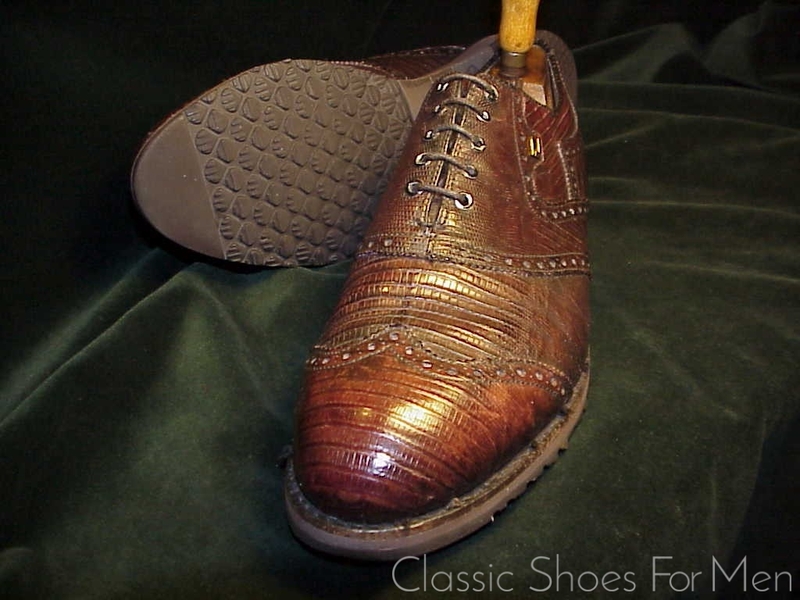 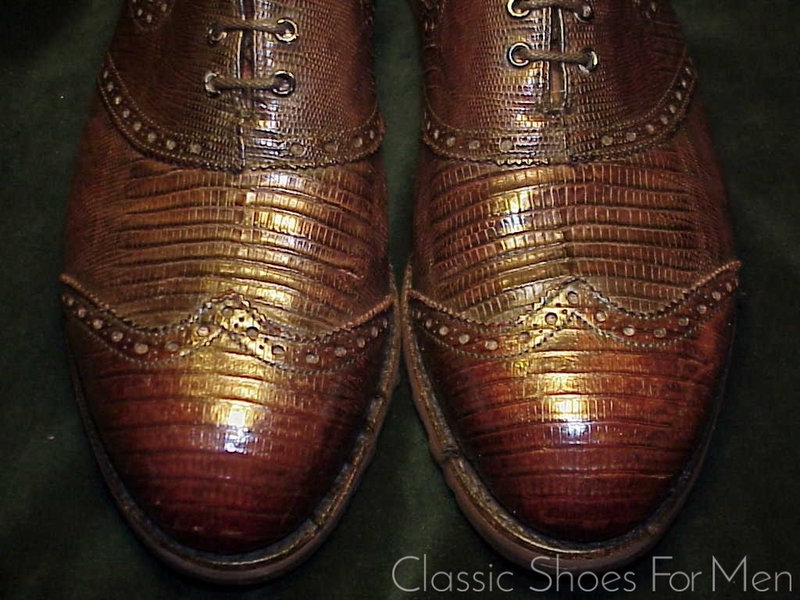 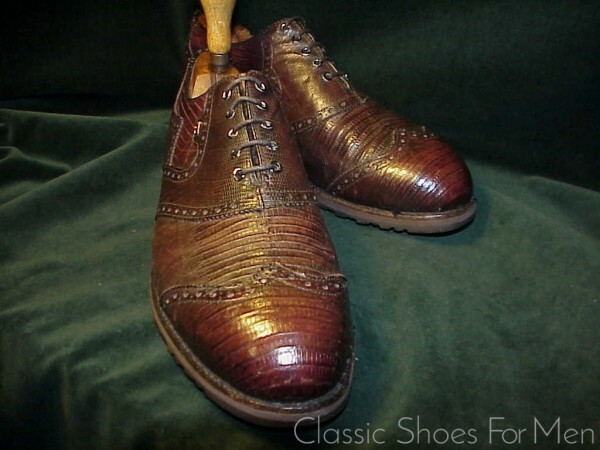 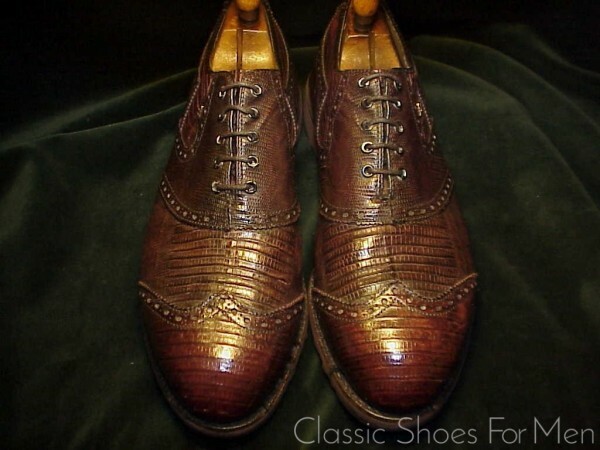 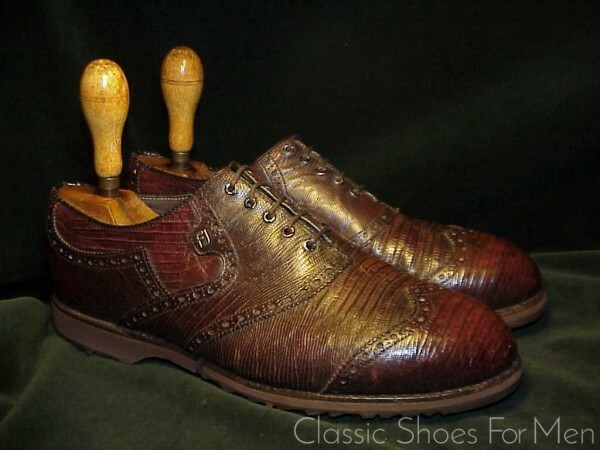 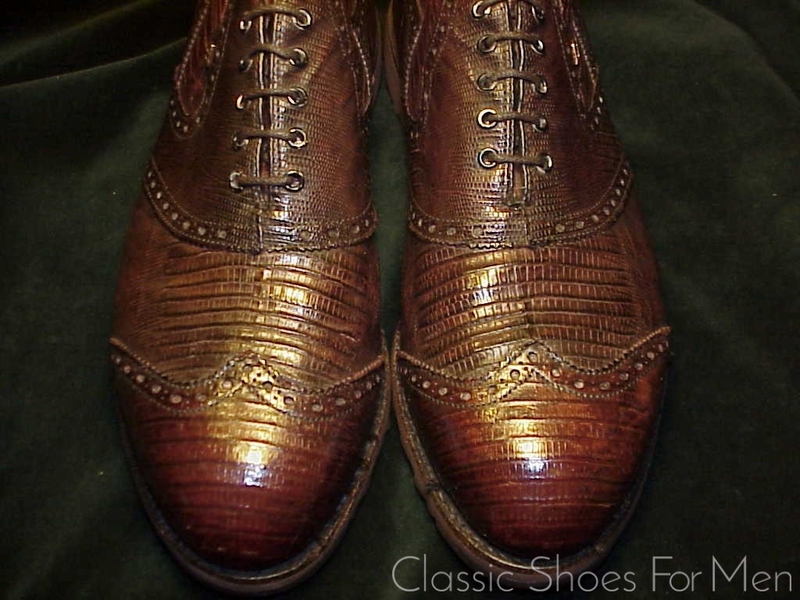 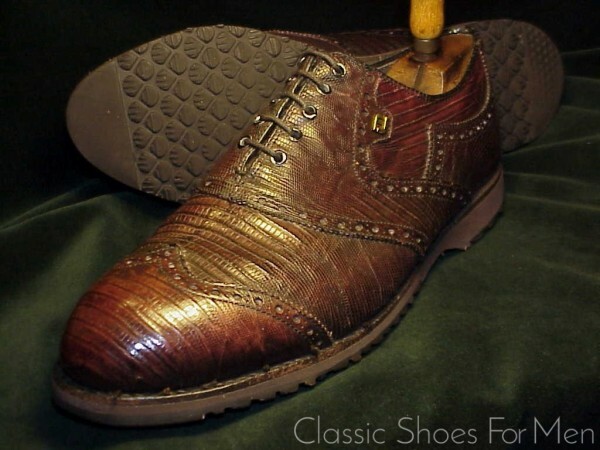 The tops are the absolutely glamorous Full Wing-Tip Oxford Brogue in FootJoy’s legendary Lizardskin, among the last of the special-order exotics from the now closed Field Street plant. 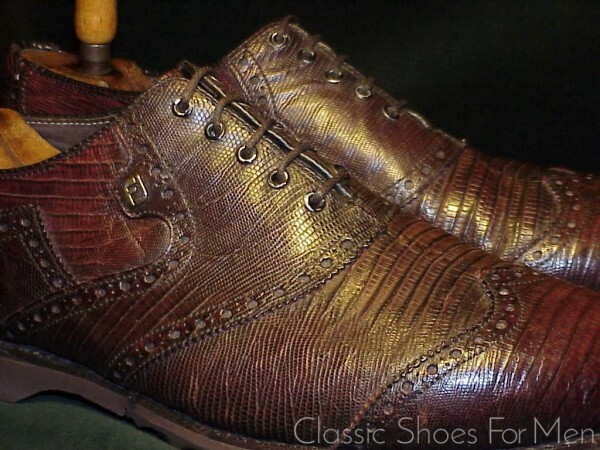 The beauty of the skins cannot be exaggerated; this is a spectacular pair. 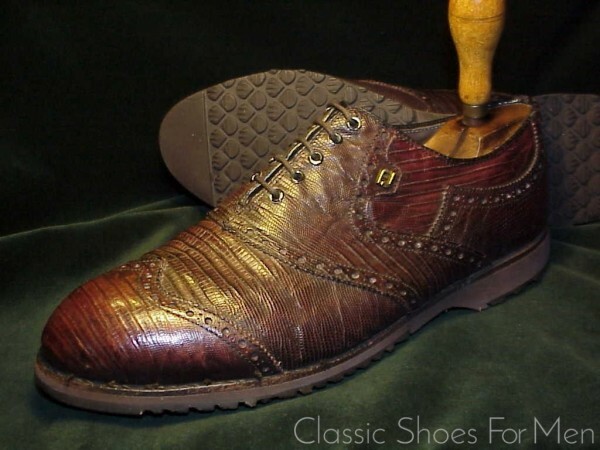 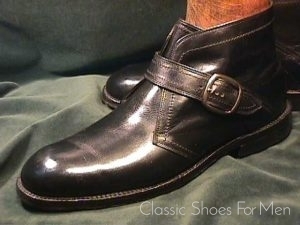 US 9E......UK 8F.......Continental 42E, for the medium width to somewhat wider foot. Superb, like new. 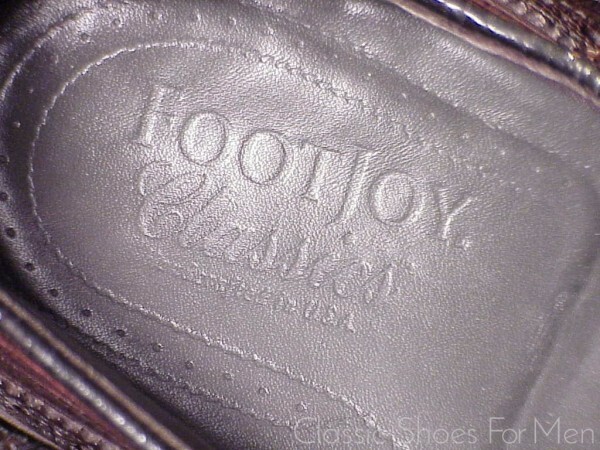 No visible wear to tops or bottoms. 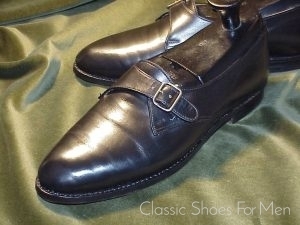 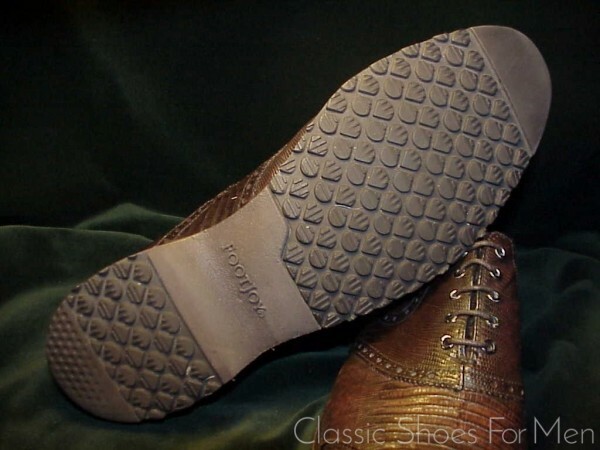 These have been factory converted with FootJoy's All Weather rubber soles.